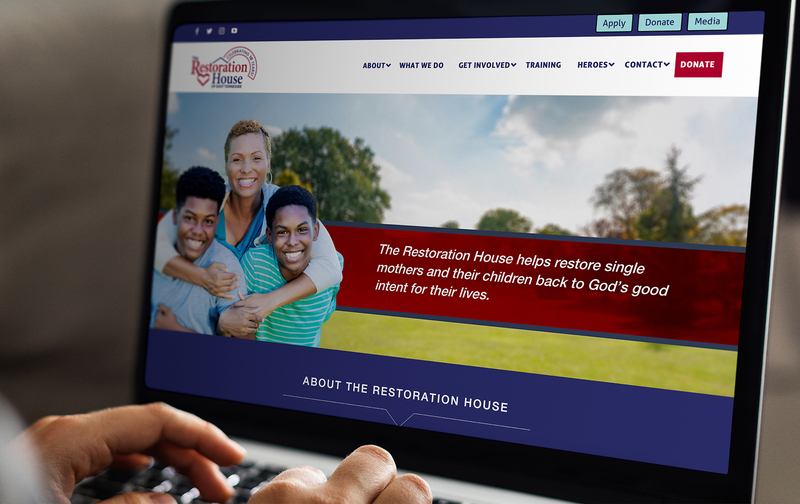 The Restoration House of East Tennessee is a nonprofit organization providing transitional housing for single mothers and their children. In December of 2018, New Frame Creative completed a complete website redesign for the organization. The new website includes multiple custom contact forms, a custom navigational menu with built in contact forms, and a modern, clean design.